Want to be part of Street Feast but don’t want to host a feast? Eager to get involved in a grassroots initiative & love the buzz of being involved in a team? Want to be a part of a movement that tackles issues around isolation & loneliness? Passionate about strengthening communities? Come & join the team. 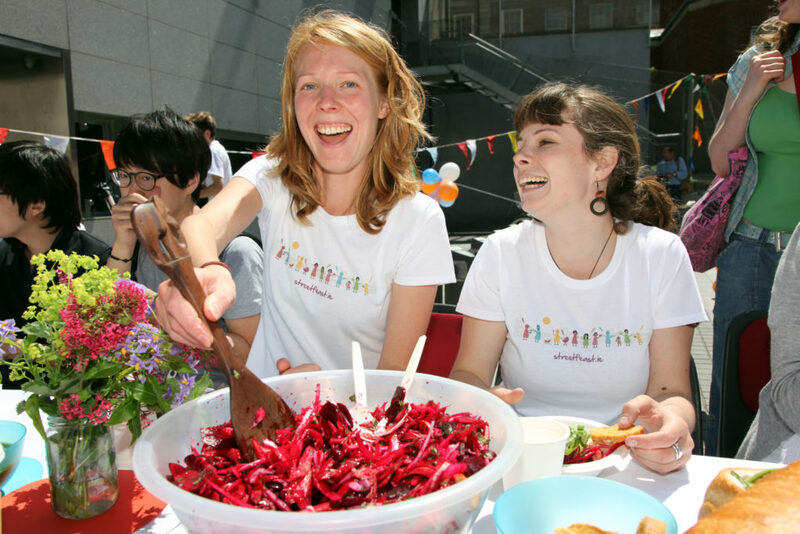 We’re looking for volunteers all around the country for Street Feast day, May 5th, to help out with Street Feasts in their area! This could be anything from helping people decorate their streets to painting kids faces to playing music. We’d love to know how you can help. Click on the button below to fill out the volunteer form! photo credit wherever possible and we will happily provide a glowing reference on completion of a job well done. Click on the button below to fill out the volunteer form!